Ace Nigerian singer and former member of defunct boy band Plantashaun boys, Black face, recently released a new song and video, that has got tongues wagging. Recall, some day back, Dammy Krane accused Starboy boss, Wizkid, of stealing his Sh!t, an accusation that eventually ended up turning it a physical battle, well, Blackface, with his new song has come out to accuse Wizkid too. 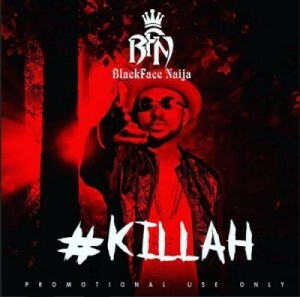 In the first verse of the song titled ‘Killah,’ Blackface talked about Wizkid stealing his song and would deal with him should he not desist from such act. Run dem down..marsh up dem empire. Wizkid is yet to respond to this new accusation, and as always, i doubt he would, but if he does, trust him to be coy about it or even turn it into yet another royal rumble.